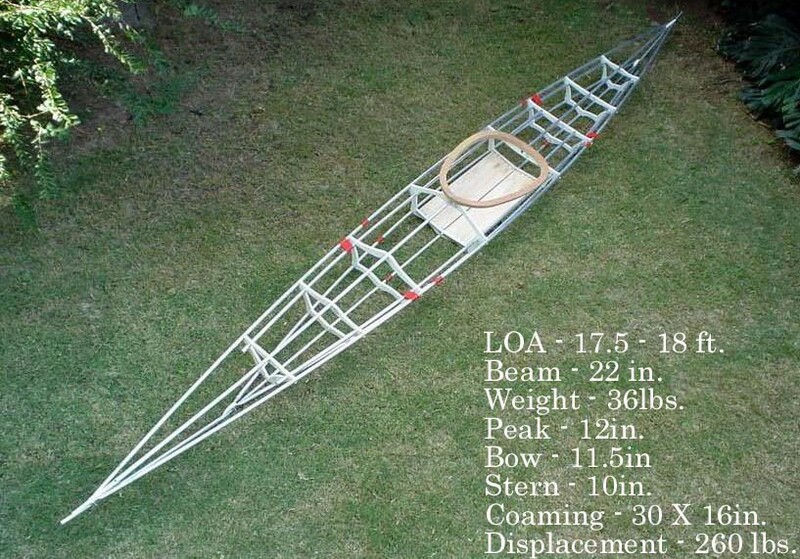 This Sea Cruiser folder, built by Rodolfo Maurette of Argentina, is a larger displacement Greenland kayak design. It has a 32″coaming to accomodate easier entry / exit for larger paddlers. The kayak features a wood coaming and Velcro zipper flap. Though similar in dimensions to a Feathercraft Khatsalano, it has a different hull shape plus a moderate amount of rocker. Overall stability is quite good.